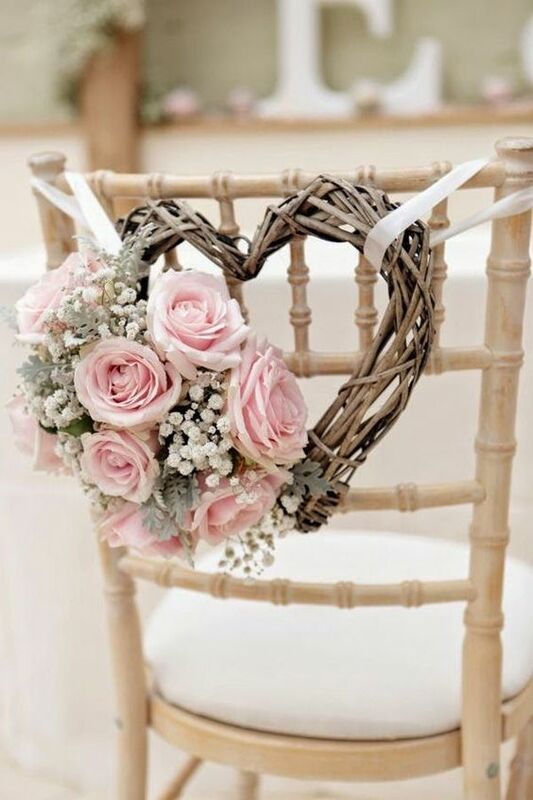 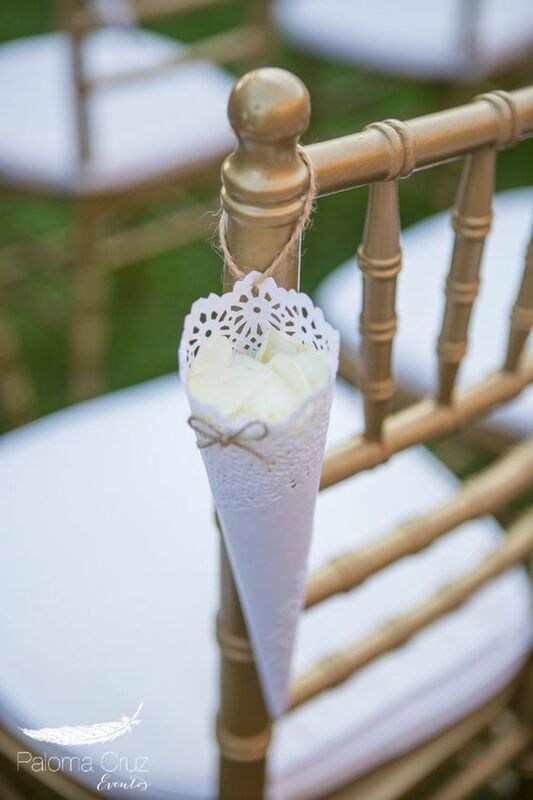 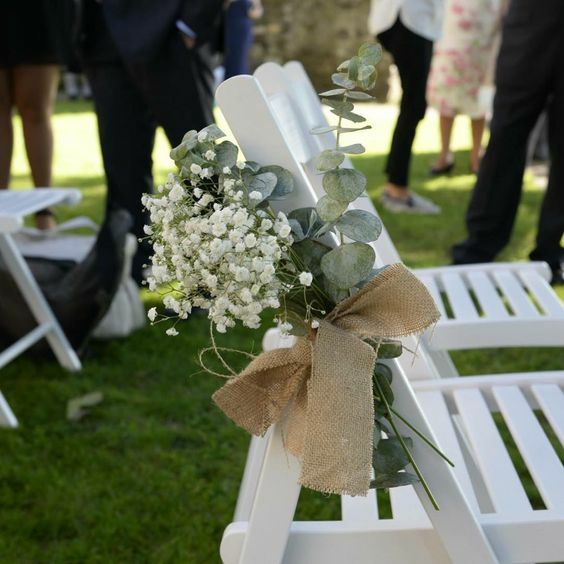 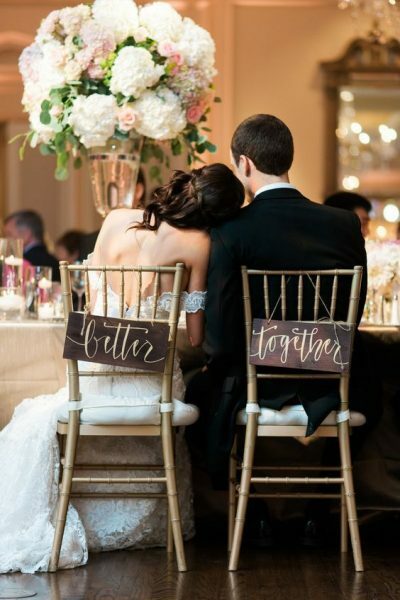 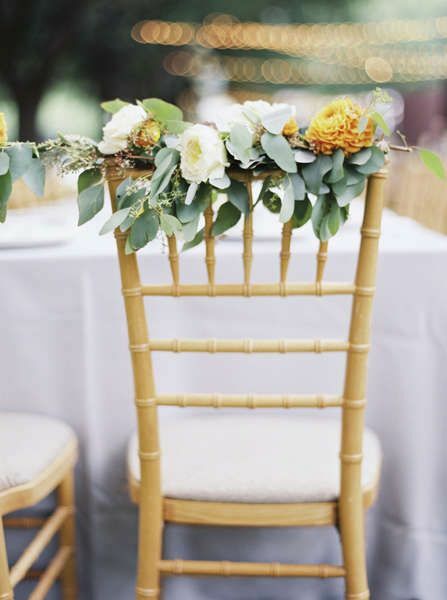 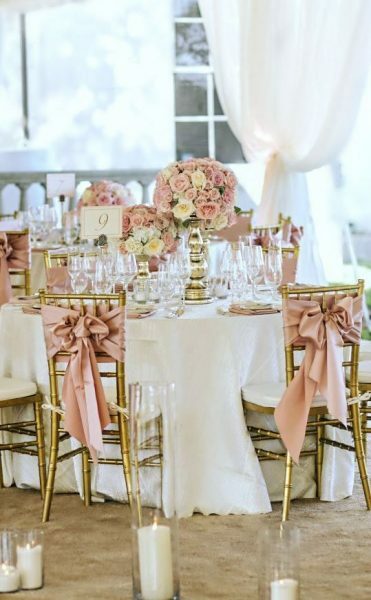 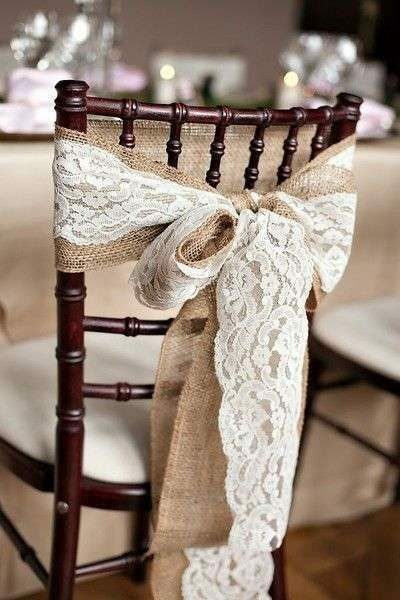 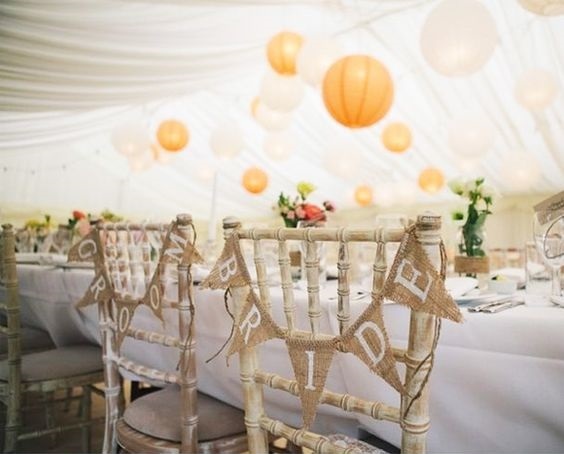 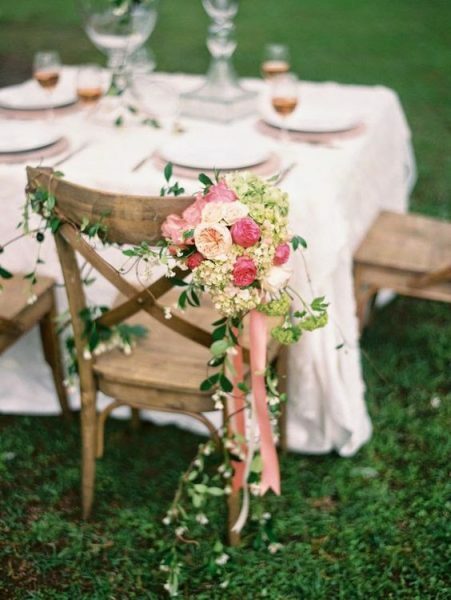 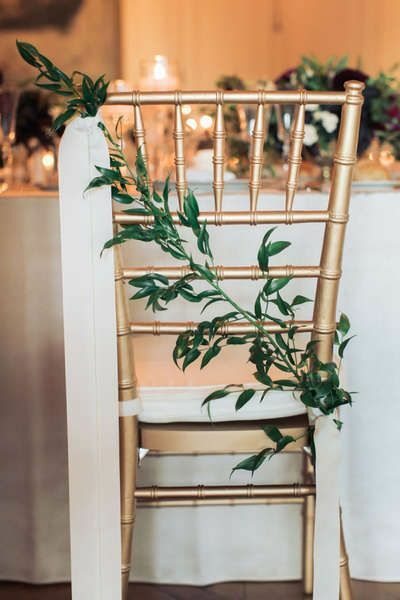 I love the chairs with decoration at weddings, both for the ceremony and for the dinner. 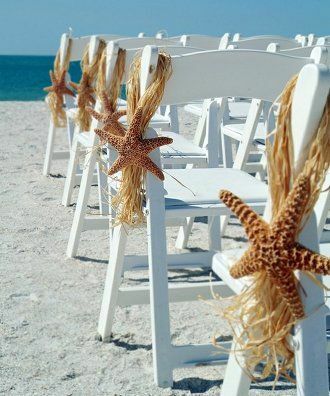 That’s why today I bring you some ideas to decorate them. The ideal is that they are chairs without a cover, although in many venues or restaurants they continue to furnish the spaces with this type of chairs, what are we going to do? 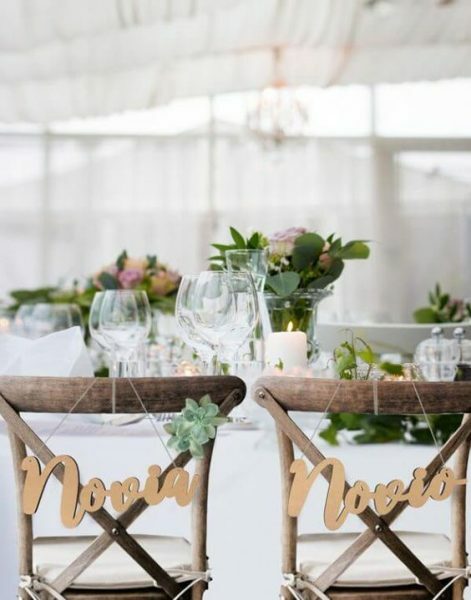 In any case, the decoration of the chairs must always be consistent with the rest of the design, in the same line, color or following the theme chosen. 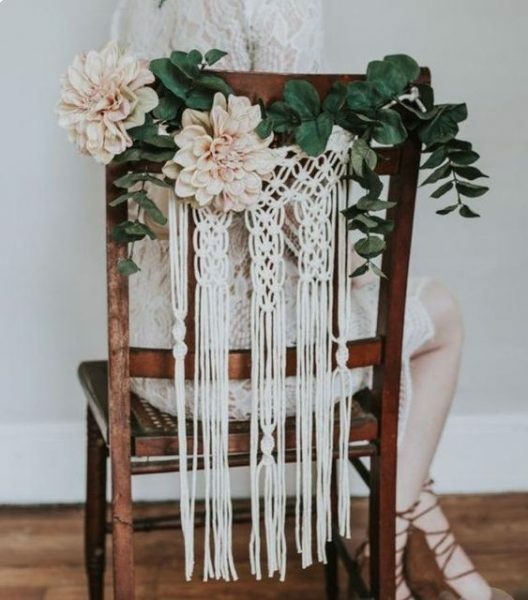 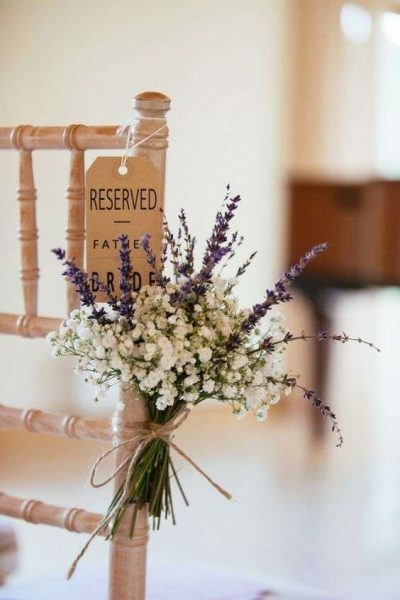 And at this point the options are many: from the classic garlands or bouquets of flowers, to the wooden signs with the words “bride” and “groom”, going through ties of different materials, cones with petals, macramé curtains, vases with flowers, hearts, starfish, and a long etc. 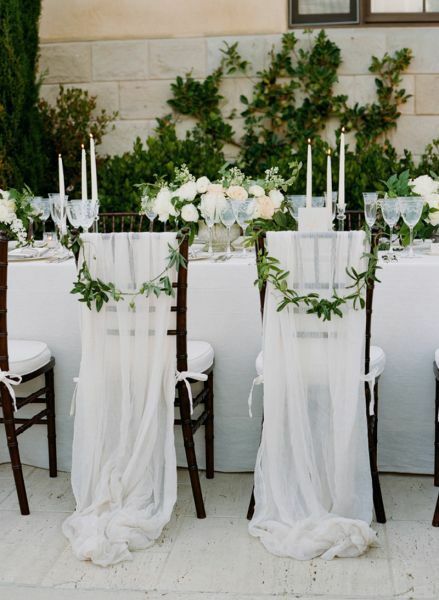 The elements with which to decorate can be as many as our imagination encompasses. 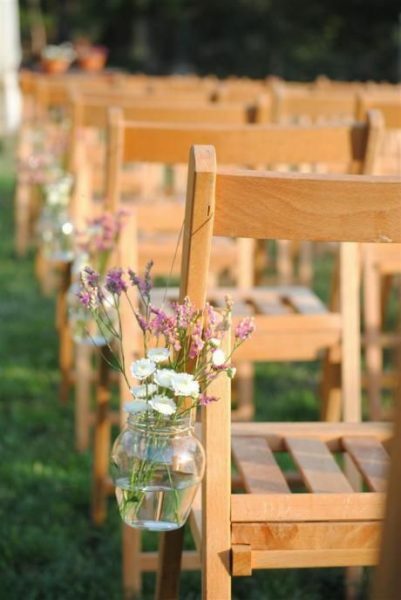 Here are some inspiring examples we found on Pinterest.